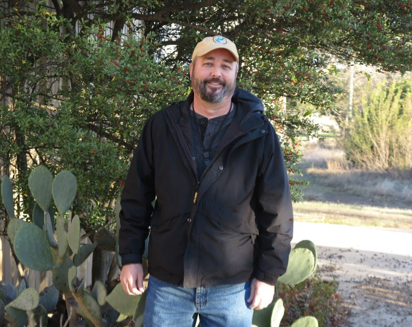 Tim is a native Texan and has served as the Natural Resources Manager at Fort Hood since 2009. He landed his first Army position while attending Tarleton State University, as a seasonal Park Ranger at the Whitney/Aquilla Lake Projects. After receiving his B.S. in 1989 as an Agriculture major, he continued his study for a Master’s degree in Agronomy/Soil Science. In 1991, he went to work on Fort Hood as a wildlife technician at the Fish & Wildlife Branch under the leadership of Dennis Herbert. In 1998, he served as the Soil Conservationist at Fort Hood with responsibility over managing erosion management projects and the cattle grazing lease. As the Natural Resources Manager, Tim provides leadership and oversight for a conservation program that includes endangered species management, cultural resources management, wildlife and game management, and invasive species management. Tim lives in Belton, Texas with his wife and has a daughter and son, both of whom have completed their undergraduate degrees. Tim’s hobbies include the study of family history and genealogy, baseball, and vacation travelling. Being a NMFWA member since 2002, Tim would be honored to serve as Board of Director member and continue being an active member of our prestigious organization.